Getting away for a summer vacation while hauling a camper behind you typically means that you have to stick to highways and other smooth roads. 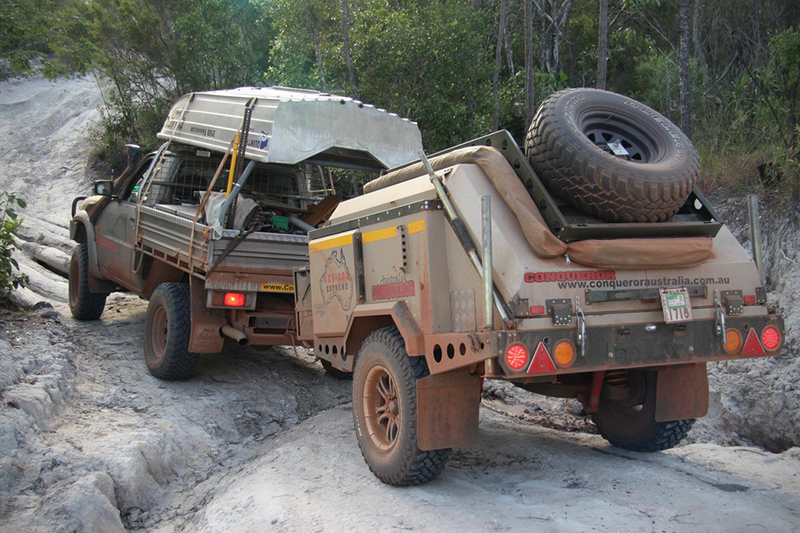 Campers, though they were meant to be used for sleeping out in the wilderness, are not typically equipped to actually go off-road to remote camping locations. 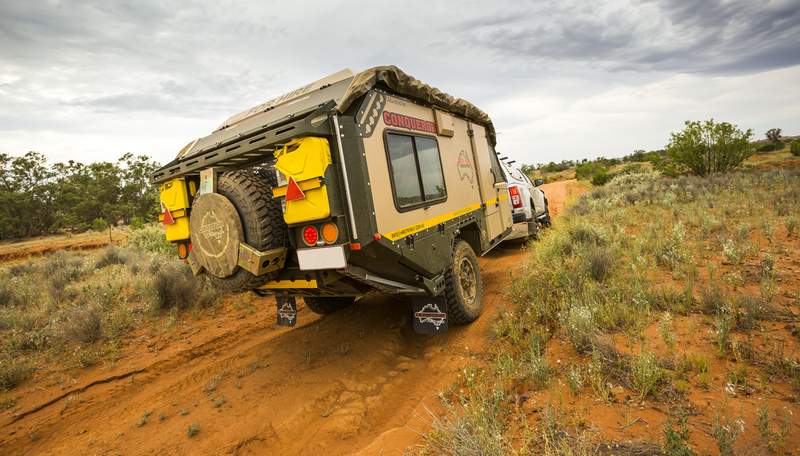 The UEVs (Urban Escape Vehicles) from Conquerer Australia are the answer to your off-road camping dreams. The Commander S model is designed for worldwide export, just in case you aren’t lucky enough to live in Australia. 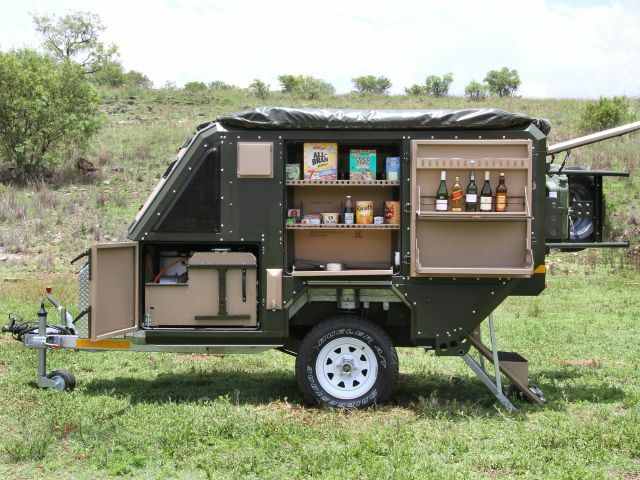 It contains nearly all of the comforts of home packed into a small, sturdy, go-anywhere trailer. With a hot-dipped galvanized skeletal chassis and full trailing arm independent suspension, the trailer was definitely designed to withstand whatever terrain you decide to take it out on. The interior of the Commander S is cleverly designed to use every last inch of space possible. The huge storage cupboards are big enough to store groceries, dishes, tools, toys, and nearly anything else you’d need on your journeys. The storage areas are accessible from the outside of the trailer as well as the inside, making it convenient to reach that bag of chips or an extra towel without having to step inside. 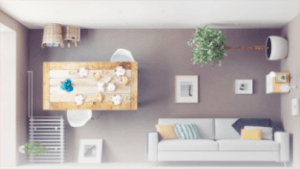 A fold-out kitchen is equipped with hot and cold water, a huge awning covering the entire kitchen area, and easily accessible work surfaces. A fridge/freezer and a cooktop let you fry up the fish you caught that day or keep it fresh for tomorrow. The trailer is available in a number of bed configurations and, unlike most similarly-sized trailers, actually gives you enough headroom to walk around comfortably. 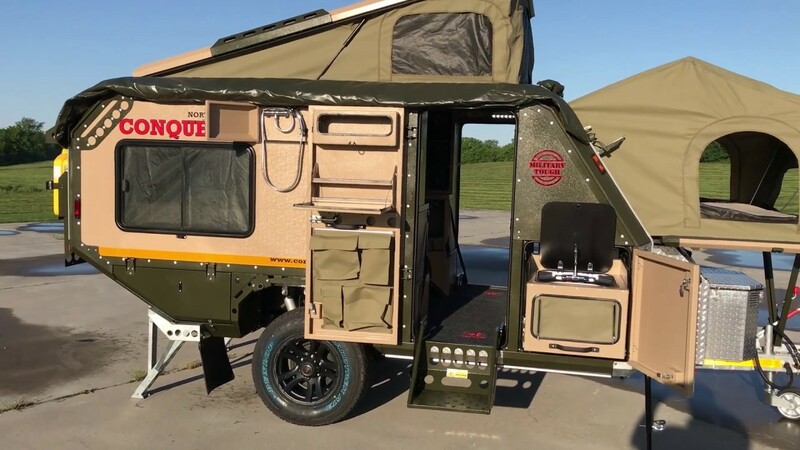 Conqueror offers lots of other rugged off road vehicle options in the “Urban Escape Vehicle” category, too, including this camper trailer. If you’re paranoid about the end of the world or just like to cosplay “The Walking Dead,” you’ll probably find something here that will have you daydreaming about tearing down dusty roads in a monster of a vehicle ready to take on whatever gets in your way.